Would a Top Gear without Jeremy Clarkson survive? It’s likely to continue to be a nice little earner for the Beeb. THE FUTURE OF one of the BBC’s most lucrative and popular programmes is on its thinnest ice ever. The news emerged yesterday that Top Gear presenter Jeremy Clarkson had been suspended from the broadcaster following a ‘fracas’ with a producer. Sunday’s episode of the programme will not be aired, and the remaining two in the current series also look likely to be dropped. The exact details of the incident are beginning to emerge. The Mirror (not likely to be Clarkson’s choice of paper after breaking the n-word scandal) reports that an Irish Top Gear producer was allegedly punched by Clarkson after he failed to get the presenter’s dinner on time while filming in Newcastle. “Jeremy just saw red over a catering issue,” a source told the paper. Clarkson has remained largely silent on the issue, taking to Twitter only to note that he knocked Labour leader Ed Miliband down the news agenda and retweet a fan’s support. He and fellow Top Gear presenters James May and Richard Hammond also discussed what could be aired instead of Sunday’s episode. @MrJamesMay @RichardHammond I did some pretty good war documentaries. They could screen one of those. The BBC’s decision hasn’t been popular. 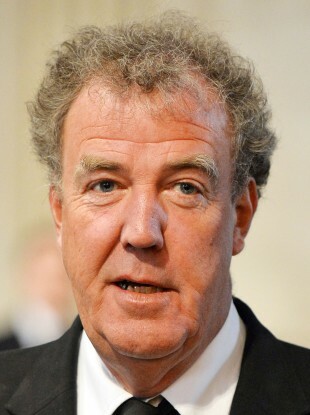 Clarkson is a Marmite figure in British media – many dislike his often less-than-PC opinions and comments, but others see him as an entertaining presenter and writer across a range of publications and topics. Political blogger Guido Fawkes last night tapped into the massive public outcry, launching a petition to have Clarkson reinstated as presenter that has so far gathered 240,000 signatures at the time of writing. However, despite the efforts of his fans, this could be the final straw for the 54-year-old presenter. October 2014 - The Top Gear team were chased out of Argentina over a controversial number plates, with Clarkson tweeting that he feared someone would be killed. The plate’s number was H982 FKL – what was interpreted as reference to the 1982 Falklands War. It was denied that this was deliberate, but the Telegraph reports that local police found a spare number plate – BEII END. July 2014 - During an episode where a bridge was built over a river in Burma, Clarkson commented as a man walked out the bridge: “That’s a proud moment but there’s a slope on it.” The BBC said it wasn’t known that it would cause offence, but OfCom disagreed, and said the programme deliberately used racist language. May 2014 - A video published by the Mirror allegedly containing Clarkson using the nursing rhyme “Eeny meeny, miny, moe, catch a n***** by his toe” when trying to decide between two cars. Clarkson vehemently denied the claims. 2009 - Clarkson called politician Gordon Brown, who lost part of his vision in a rugby accident, a “one-eyed Scottish idiot”. November 2008 - He faced calls to be sacked after he said that truck drivers spend their time changing gears and ‘murdering prostitutes’. 2005 - He punched Piers Morgan after he was photographed, under instruction of Morgan who was editor of (yet again) the Daily Mirror, kissing a woman who was not his wife. There’s several others, ranging from insulting the Indian government to upsetting viewers by trying to fit a dead body (fake) in the boot of a car. Although it’s hard to imagine a Top Gear without Jezza, the BBC would be crazy to drop it. It first aired in 1977, and was relaunched with a new drive in 2002. It’s the jewel in the crown of BBC Worldwide, the main commercial arm of the public service broadcaster. The most-watched show on BBC2, its 21st series amassed an average viewership of 6.49 million. It, along with Doctor Who and Sherlock, helped drive a 36.7% rise in digital sales. Its The Perfect Road Trip DVD was the best selling in the UK of 2013. Its live show attracts audiences of thousands. As many as 15 million fans on Facebook, approaching two million followers on Twitter, an active Top Gear webiste… the list goes on. It is BBC Worldwide’s big-earner, being sold to 212 countries and raking in at least €200 million, more than any other programme. Given the longevity of the brand, a Top Gear without Jeremy Clarkson is unlikely to lose a huge amount of the attraction of the programme – people will still love cars (or, you know, turning Reliant Robins into mini-space shuttles). It could cost the BBC a few pennies if he did get the sack. The Telegraph noted last year during EenyMeenyGate that Clarkson doesn’t just have a seven-figure contract to present Top Gear, but also a separate one with BBC Worldwide itself. This is after a company called Bedder 6, set up by Clarkson with the show’s executive producer and that has made the presenter thousands over the years, was bought out. It was 50% controlled by the BBC, who owned the intellectual rights to the programme, while Clarkson and Andy Wilman retained commercial rights. More details of this latest part of the Top Gear/Clarkson saga are likely to emerge later today, but for the moment, we’ll leave it up to you in today’s poll: Is it time for Jeremy Clarkson to go? Email “Would a Top Gear without Jeremy Clarkson survive?”. Feedback on “Would a Top Gear without Jeremy Clarkson survive?”.